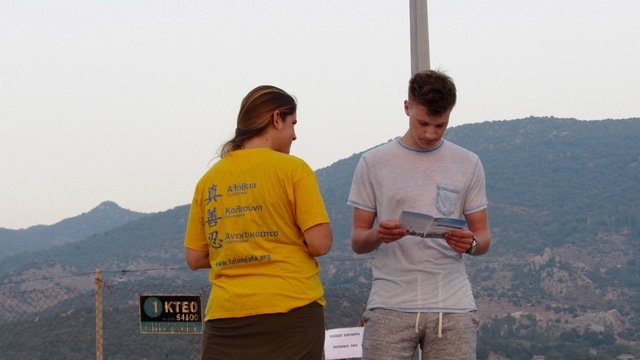 Falun Gong practitioners from Greece, Moldavia, and Cyprus travelled to Lesvos, Greece’s third largest island, to inform people about the practice of Falun Gong and that it is being persecuted in China. They also demonstrated the exercises and, on the 29th of July, held a screening of the documentary film Transcending Fear - The Story of Gao Zhisheng. Many Syrian war refugees have poured onto the island this year, exhausting the residents of Lesvos. The Falun Gong practitioners brought an air of hope and positivity to the situation. In Mitilini, the capital of the island, many of the Syrian refugees were deeply concerned about the persecution of Falun Gong and inspired by the universal values of Truthfulness-Compassion-Forbearance. Refugee children playing and cycling around the practitioners couldn’t keep their eyes off the practitioners demonstrating the exercises. Eyes shining, they kept the flyer as a treasure. 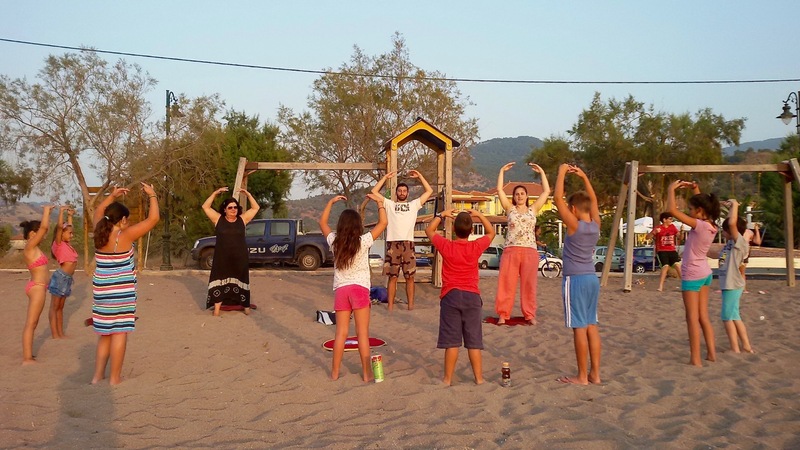 The practitioners demonstrated the exercises and gave out literature at many tourist spots on the island. The Greeks were dismayed to learn about the persecution. Many were also very eager to learn the exercises. In the days that followed, they wanted to practice the exercises again and again, day after day. Then they brought their parents to learn as well. 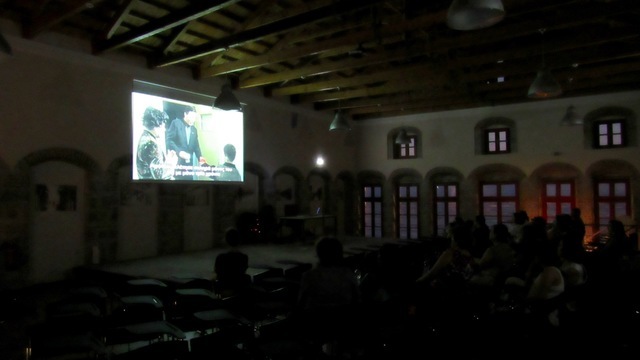 A screening of the film Transcending Fear was held on July 29 in the village of Petra in the Pavlos Melas municipal building. Many who saw it were deeply touched. The film is about Gao Zhisheng, who was a top lawyer in China. Because of his love for his country and its people, he stood up for those who were being abused. As a result, the Chinese communist regime abducted and tortured him. Mr. Gao talked about human rights abuses against Falun Gong practitioners and faced the regime with truth and courage like no other lawyer. He sacrificed himself for truth and justice and freedom of belief.